All of the class resources are centrally located on the Resources page. From the left navigation select Resources to see all of the tools and resources in one place. The calculators tab is at the top of the page under the Tools section. In Lesson 7: Retirement and College Planning we learned that saving for the future is important. 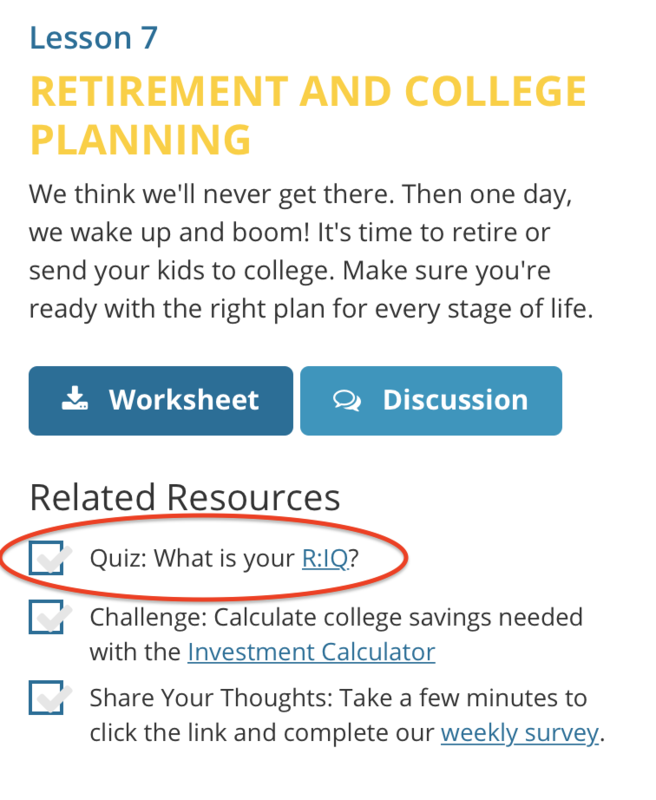 To help you determine how much you'll need for a comfortable retirement you may also want to check out Chris Hogan's R:IQ Assessment tool at his website. You can find a link to this investing tool under the Related Resources section on the Lesson 7 page. Or click here to go directly to the Retirement Planning Calculator.